Are you looking for a new, welcoming writer’s scene in Guelph?? Here’s a monthly writer’s open mic for you to enjoy! 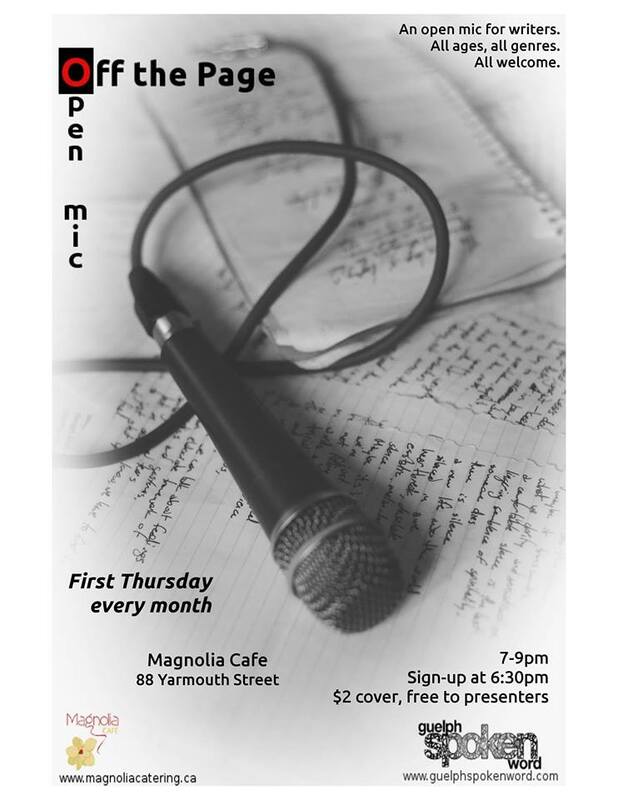 Bring your short stories, monologues, lyrics, excerpts, poetry, etc. All formats, genres, and ages welcome although content can be explicit. Cover is $2, free for presenters.